Joanna Cole trained at the Queensland Conservatorium and is a recipient of the Marianne Mathy, the Remy Martin Opera Australia award and The Churchill Fellowship. She has performed the title roles in Lucia di Lammermoor, Lindy and La Traviata, as well as Gilda in Rigoletto, Marguerite in Faust, Leila in Les Pêcheurs de Perles, Countess in Le Nozze di Figaro, Sophie in Der Rosenkavalier, Morgana in Alcina, Iris in Semele, and Micaela in Carmen for Opera Australia. She has also performed in the title role of Lucia di Lammermoor in Mexico and for the West Australian Opera; Gilda (Rigoletto) and Mimi (La Bohème) both for Canterbury Opera New Zealand and for the Spier Festival South Africa; Adina in L’elisir d’amore for Melbourne City Opera; Giselda in I Lombardi (Chelsea Opera, Queen Elizabeth Hall); Irene in Rienzi for Chelsea Opera, and Aminta in Il Rè Pastore (Royal Gala London). 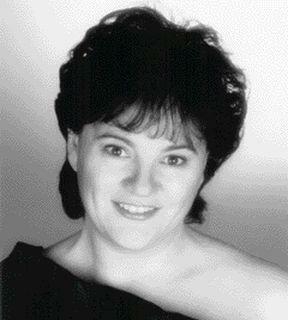 She has performed with the Melbourne, Adelaide and Singapore Symphony Orchestras, and the Halle Orchestra.